Ke Bona Lesedi, which means, “I see the light” in Sesotho, is a training programme run and managed by the National Prosecuting Authority (NPA). The programme teaches court preparation officers (police officers responsible for preparing witnesses to testify in a court of law) the necessary skills to prepare such witnesses. 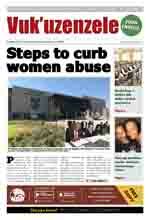 The programme focuses mainly on women and children who had been victims of abuse. The idea of a training programme for court preparation officers came to Karen while she worked closely with the South African Police Service and with abused children. She realised that officers needed special training when dealing with people who had been victims of abuse, crime and trauma. According to Karen, there has been very littlesupport for such victims. “They are usually extremely traumatised and have difficulty to testify effectively in court, especially young children”. After thorough evaluation, the NPA decided to adopt the programme as part of their responsibilities and procedures. The role of an NPA-based court preparation officer has now been properly established and the training programme has been streamlined and brought in line with the South African Qualifications Authority’s (SAQA) requirements. therefore needed to provide a very important service alongside prosecutors. They address the needs, fears and concerns of victims and help them feel at ease. By doing this, they play an important role in assisting the NPA to achieve its vision of ensuring justice in our society so that people can live in freedom and security. Victims or witnesses of crime or abuse, can report incidents by telephone, in person at Community Service Centres, at police stations, or to members of the police patrolling in the community. The role of court preparation officers is very important as it helps to relieve the stress for victims and witnesses. For them, the court environment is usually unfamiliar and scary. Having to testify is stressful, because they are not sure what is expected of them. Court preparation officers inform them about court procedures, what will be expected of them and how to effectively testify in court.